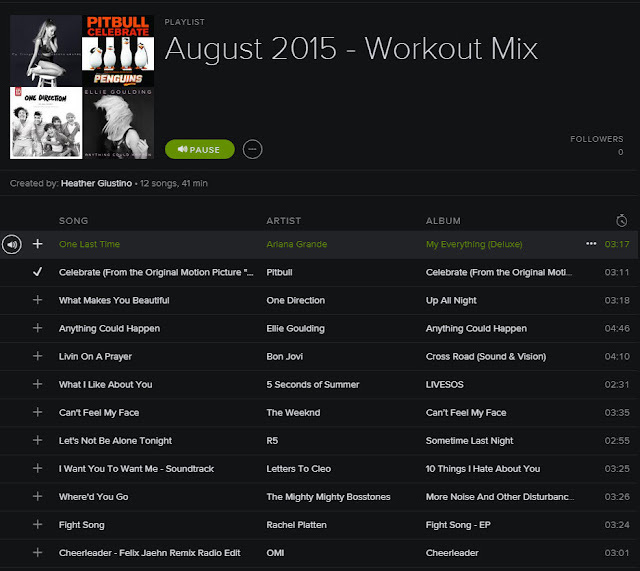 A new workout playlist for August! You can get it for free on Spotify, HERE. And if you missed either of the previous playlists, you can snag them for free on Spotify HERE (June), and July's HERE. Enjoy!